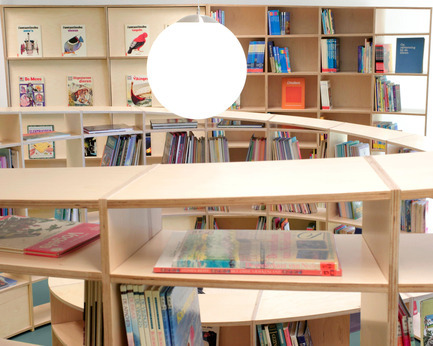 Amsterdam, The Netherlands, 2012-11-23 - In collaboration with EB Ontwerp, Studio Dave Keune Designed and realized a library for primary school Fiep Westendorp. It was our goal to create an environment that excites and tempts the children to read books again despite these digital days. The result is spiral shaped bookshelves that curl through the space. The spiral starts high and slopes down while making its turns. 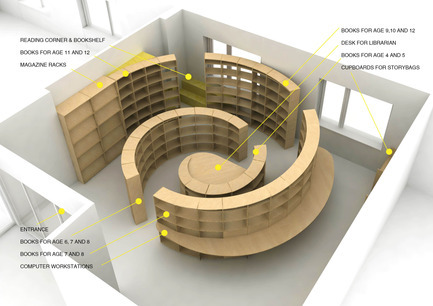 The result is spiral shaped bookshelves that curl through the space. The spiral starts high and slopes down while making its turns. 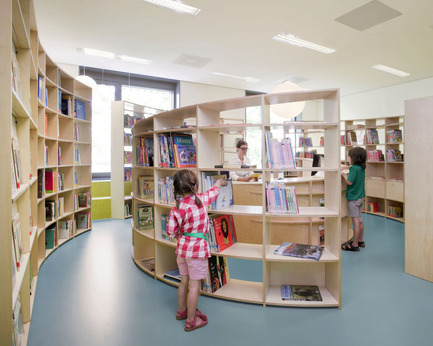 The height of the shelves corresponds with the age of the children. 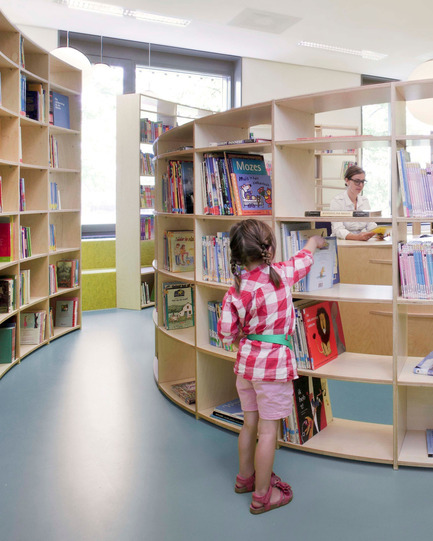 For the elder ones the adventure starts right away, during their journey also the smaller ones can find their books. On their way they pass a small and cozy reading corner. 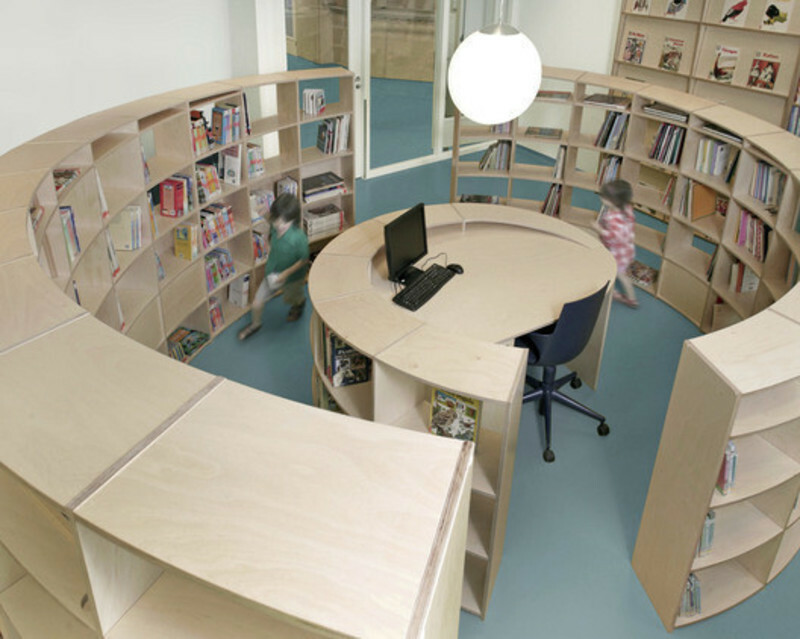 The youngest pupils find their books in the middle of the shelf were also the librarian is situated to help them a hand if necessary. 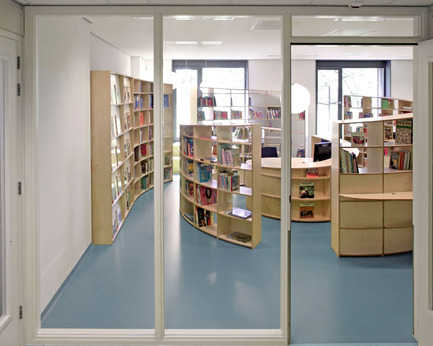 The spiral is interrupted a couple of times to give an overview to the librarian and to create a route in the space. Part of it leads to the computer workstations that are mounted on a large desk 7 meters is width. 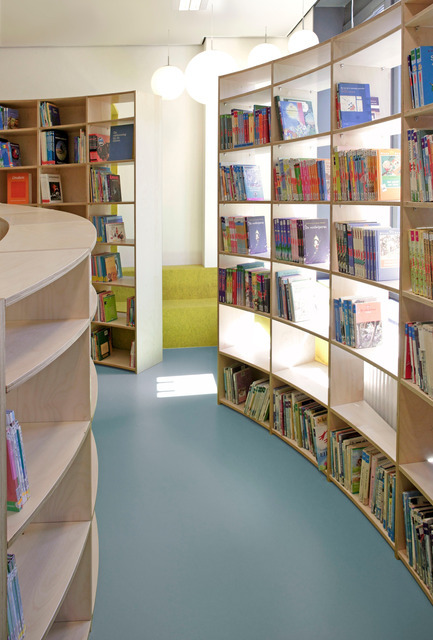 The bookcase was created out of 153 different parts to achieve a smooth three dimensional turn all top shelves were created one by one. 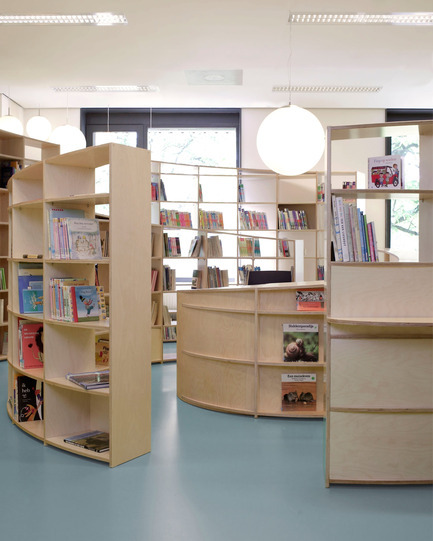 The spiral consists out of 90 meters of bookshelf, 2 magazine bookshelves, a central desk, a tiny reading area, 10 computer workstations, 3.5 meter of additional magazine racks, 3.5 meter of cupboard. Straight lines can have many dynamics. production process, he aims for high-qualified results, in usability and durability.